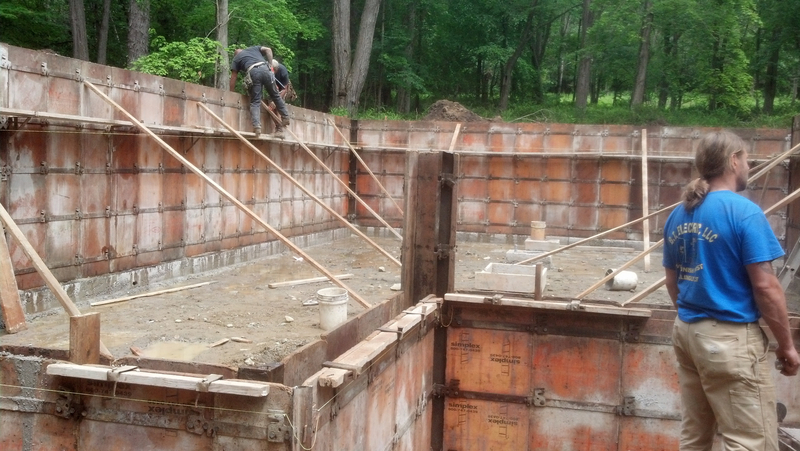 The young fellow with the blue shirt in the picture above built our house. I've mentioned him numerous times since he is more than a friend. He is now like a son to us. He refers to me as "OM", his acronym for "Other Mother", and stops in periodically to chat and have a brewski with us. 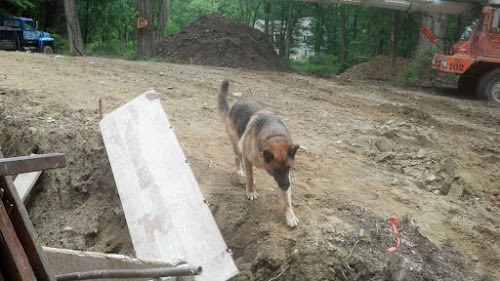 Walking down to see what was going on when the foundation was being poured, I met a new friend...this 110 pound German Shepherd who belongs to to concrete foreman. What I found out was that this canine loves to chase rocks...over and over and over regardless of where you toss them. I just read TexWisGirl's comment above ~ how clever is that? Anyway, it is so good to meet and make friends with people younger than us, isn't it? And of course, I love the GSD.